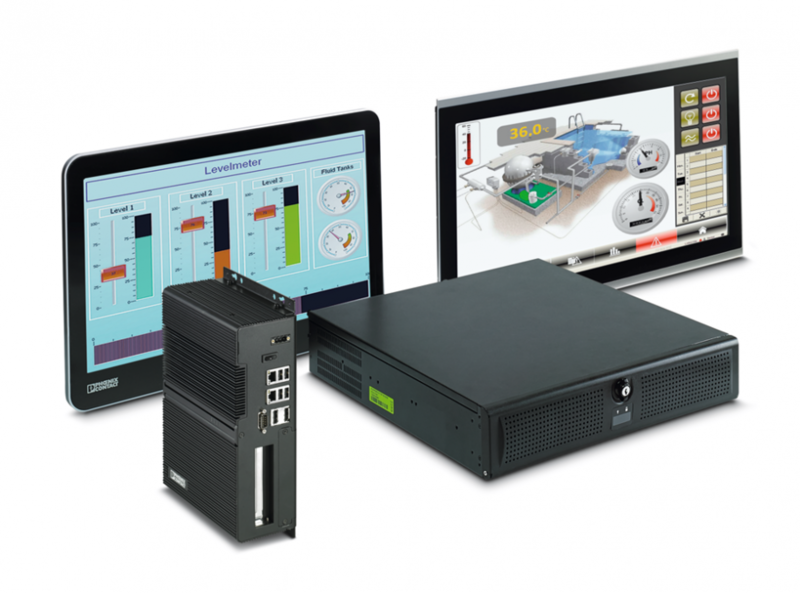 With the gaining popularity of PC-based control systems, plant engineers are turning to industrial PCs (IPCs) for control, visualization, and data-collection applications. Industrial PCs set themselves apart from office-grade PCs by offering touchscreen operation, industrial-grade mounting options and overall more rugged design. 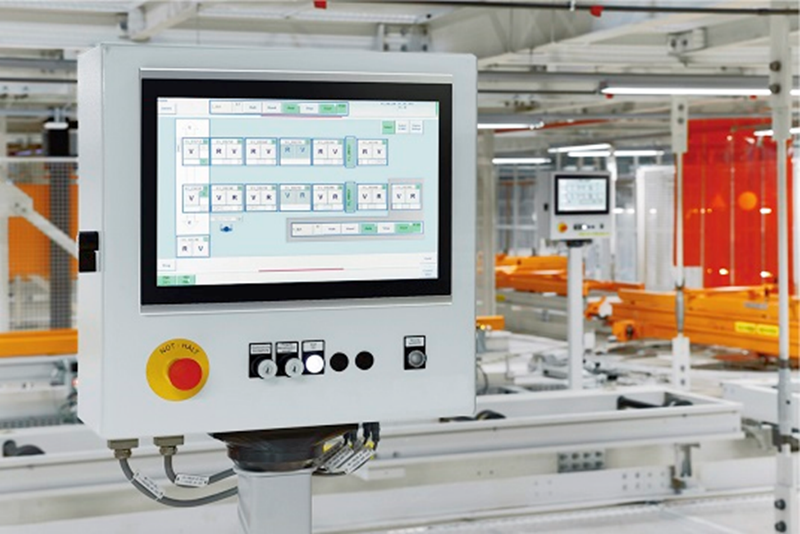 As in any control system, uptime is critical for an industrial application. From high-output machinery to time-sensitive data to critical processes, machine downtime is the dreaded scenario for every plant. Selecting the right mass storage for an industrial environment is crucial for the long-term reliability of an industrial PC. Factors to consider are not only size but also shock and vibration, as well as read and write speed and number of write cycles. Mass storage choices usually are the traditional rotating hard drive (HDD) or the more rugged non-rotating solid-state drives (SSD). Each of these mass storage options has advantages and disadvantages. Traditional rotating hard drives offer large storage space and fast data access at a relatively low price per GB of storage space. Disadvantages are their relative susceptibility to shock, vibration, and operating temperature. While rotating HDDs are perfectly suited for applications that write a large amount of data, they can be the incorrect choice for applications on moving/vibrating equipment or applications where ambient temperatures exceed 50 degrees C.
Solid-state drives (SSD) are gaining popularity due to their non-rotating design. Originally developed for military and space exploration projects where price was no object, these memory chip-based, rugged mass storage drives have become affordable enough for industrial applications. Due to their design, SSDs are virtually immune to shock and vibration, can tolerate higher temperature swings than HDDs, and are completely silent in operation. While the general features of an SSD may make them appear as the perfect fit for industrial use, they do not come without certain design limitations. One problem is that certain SSDs are not suited for write-intensive applications, such as constantly writing data to an SQL database. MLC SSDs cost less than SLC SSDs, but have fairly limited write-cycle tolerance and slower data access speeds. MLCs are thus only suited for applications that do not write much data back onto the SSD. SLC SSDs offer higher data access speeds, but have a price premium per GB versus MLC SSDs. Typically, SLC SSDs can tolerate more write cycles and higher temperature swings. SSD manufacturers are trying to overcome the SSD write-cycle limitations with internal design features and smart wear algorithms that store data across the entire drive, thus “exercising” the SSD’s memory cells in a more uniform manner. New mass storage developments driven by mobile computing technology include M.2 or CFast SSDs that combine a small form factor with high meantime between failure (MTBF) and increased read/write speeds. M.2 SSDs feature fast/read write speeds and large capacity. CFast cards offer smaller storage size options below the typical SSD. This makes them well suited for embedded operating system use. Embedded operating systems, at least on paper, have several advantages over their full-featured, bigger brothers. Embedded operating systems typically cost less, fit on a smaller (thus lower-cost) mass storage device, and do not require a formal shutdown procedure. This all sounds good, but once you dig a little deeper, the picture changes. There are not only limitations as to features, but also legal implications. One such issue is that embedded operating systems should not be used as general-purpose operating systems like those commonly found in desktop PCs. Embedded OS use is limited and bound by the often-overlooked Microsoft Embedded licensing agreement. Besides other limitations and restrictions, the agreement states that the system shall only be deployed for purpose-built functions. While Windows® Embedded Standard systems have a lower price point and smaller footprint than Windows® 7 PRO or the newer Windows 10 IOT Enterprise, they also have lower functionality. To decrease their footprint, the operating systems omit features such as drivers or certain applications. This alone may make them unsuitable for more complex industrial applications. In addition, embedded operating systems require that the customer has specific knowledge plus the tools necessary (e.g., Microsoft embedded toolkit) to build the software image and deploy it. • Using a dedicated hardware firewall prevents unauthorized and unwanted traffic without siphoning off IPC resources like software firewalls do. The hardware firewall can also log traffic and access attempts, giving you an audit trail of who is trying to access what. • Disabling USB access removes a very common attack vector and will help keep your IPC malware-free. This is easily done right in the BIOS. Adding password protection to the settings ensures they are not switched back on. • Use the Enhanced Write Filter feature with embedded operating systems to make the system partition read-only. • Using a router to separate your plant network from the IT network can give you insulation and isolation. With today’s private networking, there’s no need to share a subnet with the rest of the office world. Putting your plant on a separate subnet from the enterprise network gives you more protection and makes it easier to control access, all while still reaping the benefits of being able to share information with plant management, logistics, etc. • Monitoring your PC for infection is crucial. Anti-virus software is one solution, but this works best in the IT world. Newer, less-invasive solutions like CIFS Integrity Monitoring don’t require database or signature updates from the Internet. They use brief, scheduled scans to compare your current system to a baseline and can catch malware that doesn’t show up in anti-virus databases. In fact, a CIFS scan often detects malware/ransomware infections more than a year before an anti-virus program does. Security isn’t something that just happens, so be proactive. Using multiple layers of security, as outlined above, provides defense-in-depth that will keep your IPCs, in particular, and plant network, in general, safe and productive. Energy costs are always on the rise. While the purchase price of an industrial PC is often a huge selection criteria, the associated operating/energy costs are often overlooked or, worse yet, ignored. Over the lifetime of a single PC, you can save a significant amount in energy costs by simply purchasing a more energy-efficient model. While that model may cost a little more initially, it will save you money in the long run. Design features such as low-power consumption CPUs or SSDs, as well as more energy-efficient external power supplies, all have a positive impact on your energy bill. Multiply these savings by 10, 50, or 100 systems, and your plant can save thousands of dollars in energy costs over the intended life span of the equipment. Fast access to connectors, mass storage, and the Real-Time Clock (RTC)/BIOS buffer battery can be the crucial difference in whether a machine is down for just a matter of minutes or a matter of hours. Easily removable mass storage drives utilizing pull out trays can be exchanged within minutes without removing or even disassembling the PC. This also applies to the Real-Time Clock/BIOS battery. In addition, external 24 V power supplies, as well as easy integration of uninterruptible power supplies (UPSs), increase serviceability and system uptime. Multi-year availability of spare parts and CPUs from the long-term roadmap series give additional peace of mind for many years of operation. This ensures the freshly purchased IPC will not be obsolete six months later. Pair this with a repair-friendly, modular design, and any required repair can be performed quickly, limiting downtime to a minimum. Education is key. This is also true when it comes to the topic of industrial PCs. When compared with traditional PLCs, IPCs offer many benefits, so they are here to stay. Selecting the right mass storage, a suitable operating system, or the proper cybersecurity system can be challenging but does not have to be. With a little research and a close partnership with the right vendor, you can prevent misapplication of an industrial PC. This will ensure your IPC system can grow with your business and keep your plant running. A little research and a close partnership with the right vendor can help you find the right industrial PC for your specific application. 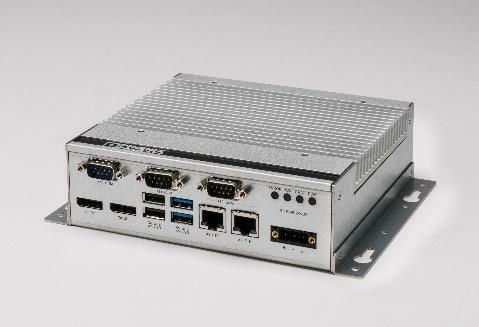 Example of a compact industrial box PC with M.2 mass storage. Easy accessible mass storage drives increase serviceability.